November 14, 2018 (Washington D.C.) -- Hate crimes rose 17% nationwide last year over the year before, according to data released by the FBI under the Uniform Crime Reporting Program. This is third year in a row that hate crimes have risen in the U.S.
July 18, 2018 (El Cajon)— Sheriff’s Captain Marco Garmo became the victim of a hate crime at a young age, along with his father, who was savagely beaten over a mistaken ethnic identity during a robbery at the Garmo family’s convenience store in El Cajon. At a hate crimes forum in El Cajon on July 17th, sponsored by the San Diego Regional Hate Crimes Coalition and El Cajon Police Department, Captain Garmo told East County Magazine that he hopes to encourage the public to report hate crimes. “The reason why we’re having this out here in the city of El Cajon is that it has the largest influx of refugees and immigrants from the Middle East, and we feel like they need to be educated as to hate crimes,” he said, adding that law enforcement believes hate crimes are under-reported by those who are victimized. March 25, 2012 (El Cajon ) – The body of Shaima Alawadi, the 32-year-old Iraqi mother of five who died following a brutal attack in El Cajon last week, will be flown to Iraq for burial. The Detroit Free Press reports that her father, Sayed Nabeel Alawadi, a Shia cleric, confirmed that the Iraqi government will pay for the shipping expense. Her murder has sparked outrage around the globe--and a show of solidarity among students in distant places. January 17, 2011 (Rancho Penasquitos) – Vandals spray-painted swastikas and “666” (numbers symbolizing the devil) on at least 14 vehicles early this morning, also defacing property at Hilltop Community Park, Black Mountain Middle School, and Sunset Hills Elementary School. 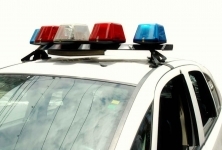 A witness reports seeing two white teens spray painting in the area around 1 a.m., the San Diego Union-Tribune reports. Another source indicates they were driving a green car. “It’s disturbing and shameful,” said Kevin Keenan, San Diego director of the American Civil Liberties Union (ACLU). January 1, 2011 (Lakeside) – An argument that began with racial slurs resulted in a fight involving 30 to 40 people shortly before midnight on New Year’s Eve. The brawl ended with multiple injuries and five arrests in Lakeside. August 13, 2010 (El Cajon) – The Center for Social Advocacy in El Cajon has been awarded the Organizational Leadership Award from the American Psychological Association’s Committee on Socioeconomic Status. The award recognizes CSA’s dedication and leadership on behalf of poverty and socioeconomic issues. November 1, 2009 (Washington D.C.) – Last week, President Barack Obama signed a defense budget bill which contains language to broaden the definition of hate crimes to include attacks based on gender, sexual orientation, or disability—adding to protections already in place for attacks based on race, religion or national origin. The Matthew Shepard and James Byrd Jr. Hate Crimes Prevention Act also creates a new federal crime for attacking U.S. military personnel because of their service. Update October 2013: Jerry Arnold has contacted ECM to advise that charges against him were reduced to distrubing the peace with loud music, for which he paid a fine. Arnold also shared his side of the story. "I was executor of the estate. I hadn't been around for nine years. I told the kids they couldn't have a party, but they had it anyway...When police got here, I was breaking up the party. My son who had the party, I threw him out of the house...To say that I was contributing to minors' drinking couldn't be farther from the truth." Arnold told ECM he knew nothng about the assault on Chris Jones, which did not occur on the property. He insists that he is not prejudiced and that three of his close family members have black partners or spouses. He added that when he asked all party guests to leave and did not single out those who were black. Johnson claims he was innocent of all charges but could not afford an attorney, so accepted the plea bargain offer. October 9, 2009 (Deerhorn Valley) – The San Diego County District Attorney (D.A.) has filed three counts of misdemeanor charges in the case of an African-American teenager severely beaten by a group of white men last April at a party in Deerhorn Valley, near Jamul. The home was in probate; the representative of the estate, Jerry Arnold Jr., was charged with allowing minors to drink; his son and a juvenile were charged with vandalizing the victim's car. September 25, 2009 (El Cajon)--Estela de Los Rios is leading an effort that will bring a Hate Crimes Summit sponsored by United for A Hate Free San Diego forum to El Cajon’s Ronald Reagan Community Center On Thursday October 1, 2009. In this exclusive interview with East County Magazine, she shared details about shocking hate crimes in our community, including many in local schools. She also shared personal insights into the hardships and challenges that have steeled her resolve to achieve reforms. May 9, 2009 (Washington D.C.)--The Local Law Enforcement Hate Crimes Prevention Act passed H.R. 1913 by a vote of 249 to 175 on April 29. A companion bill was introduced in the Senate on April 28. If enacted, the bill would close gaps in a current law that authorizes federal aid in cases of hate crimes committed because of a person's race, color, religion or national origin. The new legislation would extend protection against violence to Americans targeted because of their gender, sexual orientation, gender identity or disability. May 10, 2009 (La Mesa) La Mesa’s City Council will consider adopting a “Hate Free La Mesa” Declaration at its meeting on Tuesday, May 12th at 4 p.m.The measure has been presented by a member of United for Hate Free San Diego, a coalition of 52 faith-based and community organizations county-wide. April 26, 2009 (La Mesa)--Jim McElroy, Chairman of the Board, Southern Poverty Law Center (SPLC), will speak on the rise in hate crimes in America during the May 6th meeting of the La Mesa-Foothills Democratic Club. A recent report from the SPLC shows a 50% rise in the number of hate groups in the United States. According to the SPLC, California is home to 84 hate groups, there are 4 hate groups in San Diego, and one in Lakeside.